For hundreds of years, knowledge has been central in understanding the university. Over recent decades, however, it is the economic value of knowledge that has come to the fore. Now, in a post-truth world, knowledge is treated with suspicion and has become a vehicle for ideologies. Knowledge and the University combats all these ways of thinking. Its central claim is that knowledge is of value because of its connection with life. Knowledge is of life, from life, in life and for life. 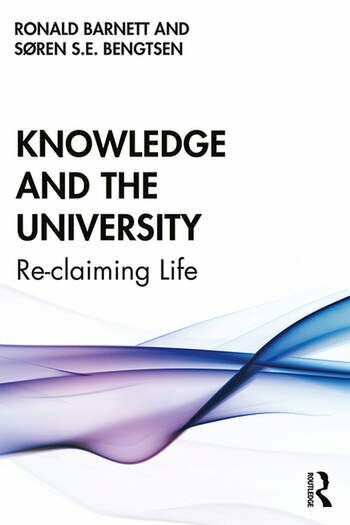 Knowledge and the University is a radical text that looks to engender nothing less than a new spirit of the university. It offers a fascinating read for policy makers, institutional leaders, academics and all interested in the future of universities. Ronald Barnett is Emeritus Professor of Higher Education, Institute of Education, University College London, UK. Søren S.E. Bengtsen is Associate Professor at the Centre for Teaching Development and Digital Media and Deputy Director of the Centre for Higher Education Futures, Aarhus University, Denmark.